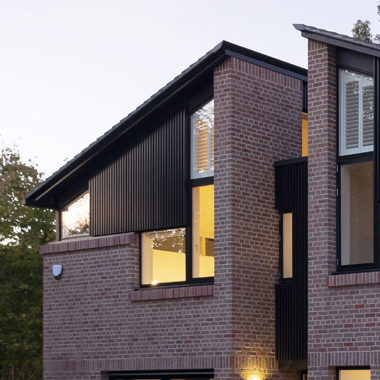 Dune House is a two-storey private house in Thorpeness on the Suffolk coast. 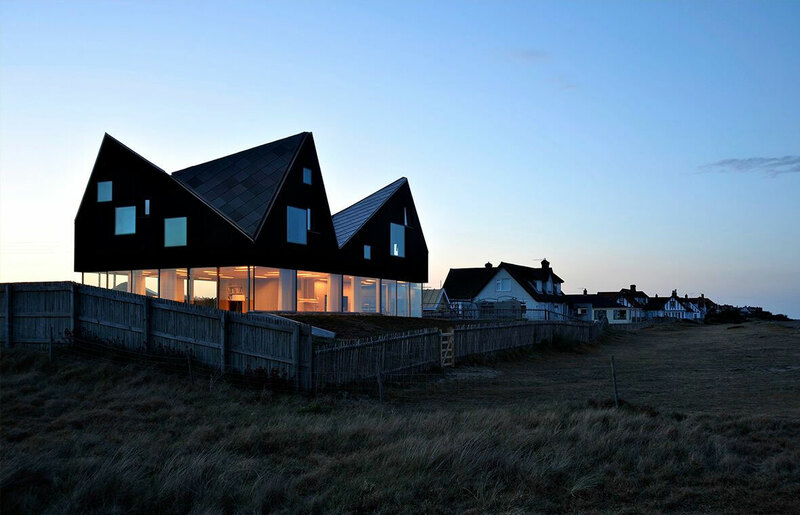 Overlooking the beach in this Area of Outstanding Natural Beauty, the five-bedroom house was designed by the young Norwegian practice Jarmund Vigsnaes Architects and built in association with UK-based Mole Architects. 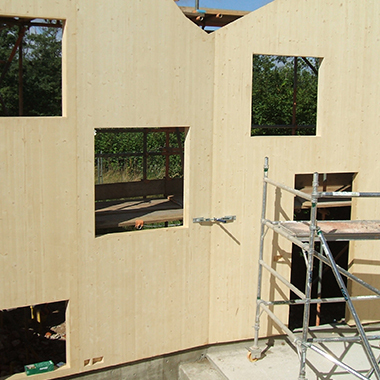 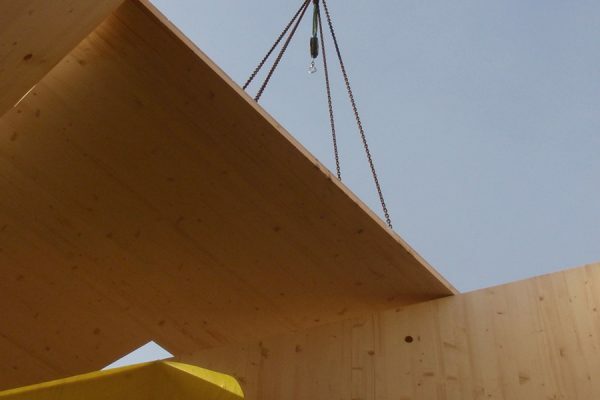 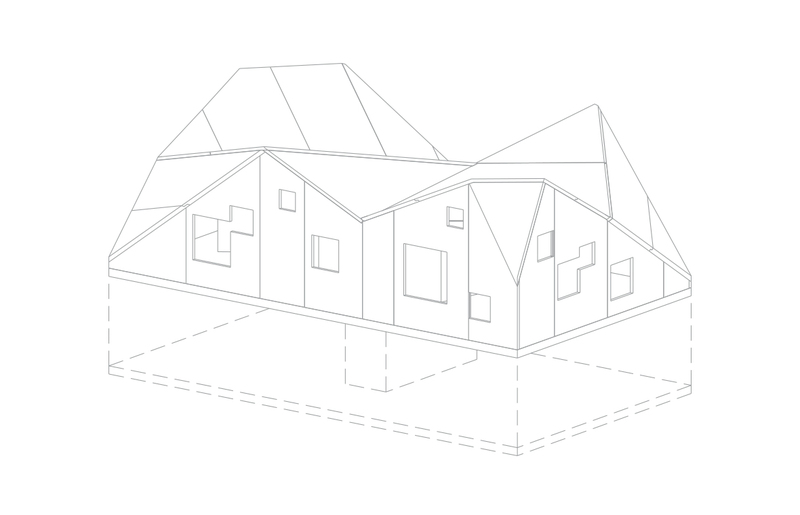 Eurban was able to achieve the complicated roof geometry and first floor façades using cross-laminated timber panels. 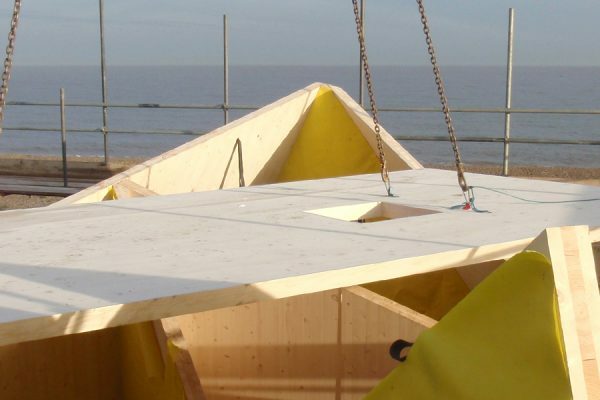 The timber form was installed upon a cantilevered concrete slab. 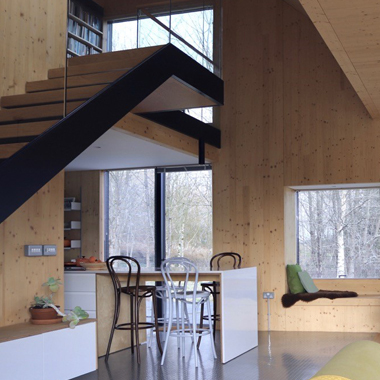 The house won an RIBA award 2012 and was shortlisted for the Manser Medal in 2011.